Traveler Reviews for Private Tour in Koper, Slovenia by Tour Guide Gregor F.
About Gregor F. Message Gregor F.
Amazing tour given by Gregor, the distribution of time for the tour was excellent and his guiding was really good. We definetily recommend to get his tour if you are going to Koper! TOUR GUIDE RESPONSE: Thank you for your feedback. It was great fun having you on tour. I hope you will come back to Slovenia for a longer time and experience more activities like the tobogganing! TOUR GUIDE RESPONSE: Thank you for your kind feedback. It was great fun taking you around. I hope you also enjoyed the rest of your stay in Slovenia, and that you will come back soon. Gregor provided a fantastic day for us! He had awesome recommendations for lunch and gave us free time too. He provided us with great information without it feeling like a lecture. TOUR GUIDE RESPONSE: It was a lovely day for me as well, as I enjoy taking people to off the beaten track places in Slovenia. I also like giving information about Slovenia through conversation rather than a lecture, and you were great partners there. I hope you will all come back to Slovenia again soon! We have just returned from the Lake Bled & Ljubljana trip with Gregor and it was a fantastic day. I have previously bee to Lake Bled but the rest of our party hadn't. It was still well worth me doing the trip again and this time I got to experience Ljubljana as well which is a stunning town and we all said we would come again and spend more time here. Gregor was factual, very interesting and really gave a good insight to the area and its history/culture. I can definitely recommend this trip and Gregor. TOUR GUIDE RESPONSE: Hello, I hope you enjoyed the rest of your cruise! It was a pleasure to take you around Slovenia, and as England is only a short flight away, I sure hope that you will come and visit Slovenia again soon. Ljubljana and Lake Bled are great, but there are many other places to visit in Slovenia. We had a great experience with Gregor and learned a lot about the country which is very beautiful. We had a great day. TOUR GUIDE RESPONSE: Thank you for this nice comment about our tour and about our country. It was a great day and I look forward to welcoming you to Slovenia again soon! Gregor was great. He was timely and very knowledgeable about his country's history, the sights we wanted to see, and the best way to arrange our trip to maximize our time for the things we wanted to do while in port. 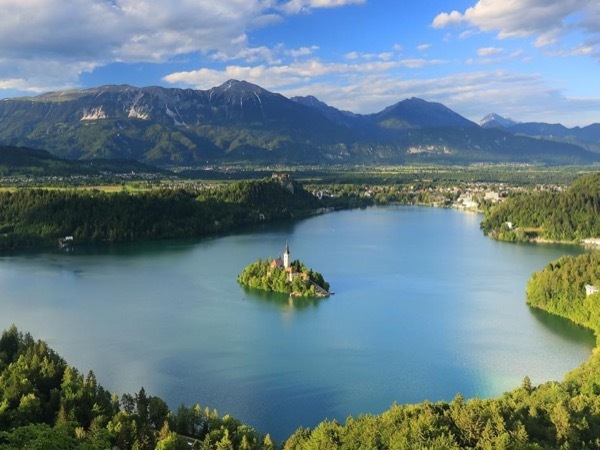 I would highly recommend Gregor for a tour in Slovenia, and Gregor and this tour to anyone wanting to see Lake Bled and Ljubljana. TOUR GUIDE RESPONSE: Thank you for your nice comment. It was a pleasure taking you on the shore excursion to Lake Bled and especially to Ljubljana, my home town and a hidden gem. I hope you will come back to Slovenia soon, and for longer than just a day!